Ryan Coogler continued the legacy of the Rocky films with Creed, a sequel that focused on Adonis Creed (Michael B. Jordan), the son of Apollo Creed (Carl Weathers), and his journey upward in the world of boxing with Rocky (Sylvester Stallone) acting as his mentor. The film helped Stallone get nominated for an Academy Award for Best Supporting Actor, and soon enough there was interest in a sequel. Now it looks like they found their director. Stallone, who helped bring the Rocky franchise to life as well as reinvigorate it with his performance in Creed, will direct Creed 2. More on the story below. Though Stallone was unable to provide any details about the plot, there are rumors swirling around that the sequel could be about Creed confronting Ivan Drago (Dolph Lundgren), the man who killed his father. But that is just a rumor. Stallone is no stranger to directing Rocky films, after all, he directed Rocky II, Rocky III, Rocky IV, and Rocky Balboa. He also wrote the screenplay for the first Rocky, which helped him get nominated for an Academy Award for Best Screenplay. The thing about Creed was that it found a way to tell a new Rocky story but without it actually being about Rocky. Coogler and Jordan’s working relationship really flourished in the film, but it also helped Stallone get that Academy Award nomination. 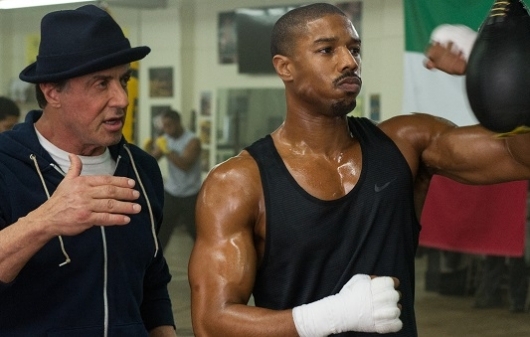 Creed also helped Coogler become one of the top tier directors in the industry. Now he’s behind the lens on one of the most highly anticipated films of 2018, Marvel’s Black Panther. But now that Stallone is writing and directing, it should be interesting to see where this film goes. Because as we all know too well, a lot of those Rocky sequels failed to live up to the greatness of the original. And worse, some consider the films to be cartoonish. However, Rocky Balboa was considered a return to form for the character. So if he can do the same for Creed 2, then I think the sequel will be fine. That being said, it was Coogler who found the first film’s voice and tone. So Stallone has a huge act to follow now that he is directing the sequel. No word yet on when Creed 2 could be released, but Stallone says he is eyeing to start production next year.